The Rover Sixty and Rover Seventy-Five or Rover P3 series were produced by The Rover Company until late 1949. The P3 was produced in two versions the 60 had a four-cylinder unit of 1595 cc and the 75 had a six-cylinder version of 2103 cc, Two body styles were available, a 6-light saloon and 4-light “sports saloon”, the 6-light having an extra rear quarter window. The P3 Rovers were well finished and aimed at a middle-class motorist. According to MG Rover Production numbers around 9,100 P3s were produced, nearly 85% were P3 75s and most of the cars released in Australia were the larger engined 75. The preceding model was the Rover 16 (P2) and successor was the Rover P4 Cyclops 75. Two body styles were available, a 6-light saloon and 4-light sports saloon. 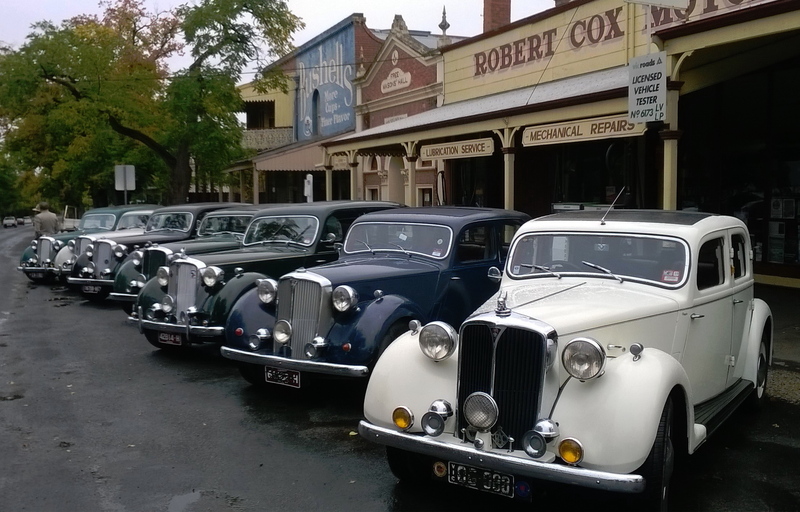 For 50th, 60th & most recently 70th Anniversaries of announcement of Rover P3 production introduced at the Earls Court Motor Show in 1948, P3 Owners from all over Australia have been getting together. 60th Anniversary Get Together, record for number of P3s in one place. RCCA Event held in April 2017, specifically for spreading the knowledge about Rover P3, including a trip to Malden and Castlemain Swap Meet.